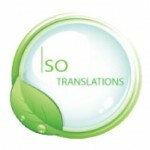 Online businesses are indeed benefiting from using translation services for their website. It is an effective move on how you can reach out to people. One of the most important things that businesses online should give enough attention is the way they connect with internet users. Viewers have plenty of options to choose from knowing the fact that the World Wide Web is a breeding ground for online marketers. 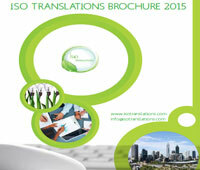 You can even maximize the amount of sales you can make online from using translation services. It is just a usual thing for online marketers to search for ways on how they can acquire customers. Before they will decide on a marketing strategy, they still need to assure if their website will be relevant to people. When you say relevant, the viewers should understand what you wanted to tell them. If you don’t know what to do, then consider using translation services so that your website will be viewed in different languages. Even if you are planning to put up a website intended for your customers in other countries, you will feel at ease because they will never find it a hassle to recognize the products and service you offer them because of using website translation. For online businesses that wanted to save money by using professional translation, here are some tips that you can follow. You have to be directed to the point when informing your products to people so that you can reduce the numbers of words that needs to be translated. Translators usually charge their service per word. Don’t use words that are too hard to translate. Plain English will do. Make use of CAT tools in order for you to translate words or abbreviations easily. With the text that you wanted to be translated, make sure that it makes sense. Choose a format that is not that complex because translators would return to you the text the way they have received it. If they cannot open the file, they cannot do the task. Having these guidelines that can help you cut down your expenses from using professional translation will make it easier for you to maintain the cash flow of your business. You can get a higher profit while paying less. Take away your doubts about using translation services because you badly need it to make your website globally competitive. Besides, how can you expand a business in different parts of the world if you will only utilize a single language?